I am absolutely in awe of these green kyanite blades that I discovered at the Tucson Gem Show. You all know of my love affair with kyanite – and I have an especially strong fascination with the green variety. Green is the rarest shade of kyanite, and these blades are alive with all of the mystical power that this extraordinary gemstone has to offer. Most green kyanite comes from Brazil, but these rare pieces are from Africa, so their vibration is different – it’s deeper. If you’re looking to powerfully open and heal your Heart Chakra and begin receiving the Universe’s most sacred messages, do not miss out on this offering! These stones are very limited, and when when they’re gone, they’re gone. Use yours in meditation or ritual, or carry one in your pocket for a lovely dose of magic anywhere that you go. I love creating crystal grids with these blades, or having them wire-wrapped to wear as jewelry. These blades are packed with so much enchantment, and I know that you’ll be just as mesmerized by them as I am. Green kyanite is most known for its ability to facilitate connection to Mother Nature. When you work with green kyanite, you will be granted access to the deepest wisdom of Mother Earth, and will be led to feel the constant, perfect flow of the Universe. 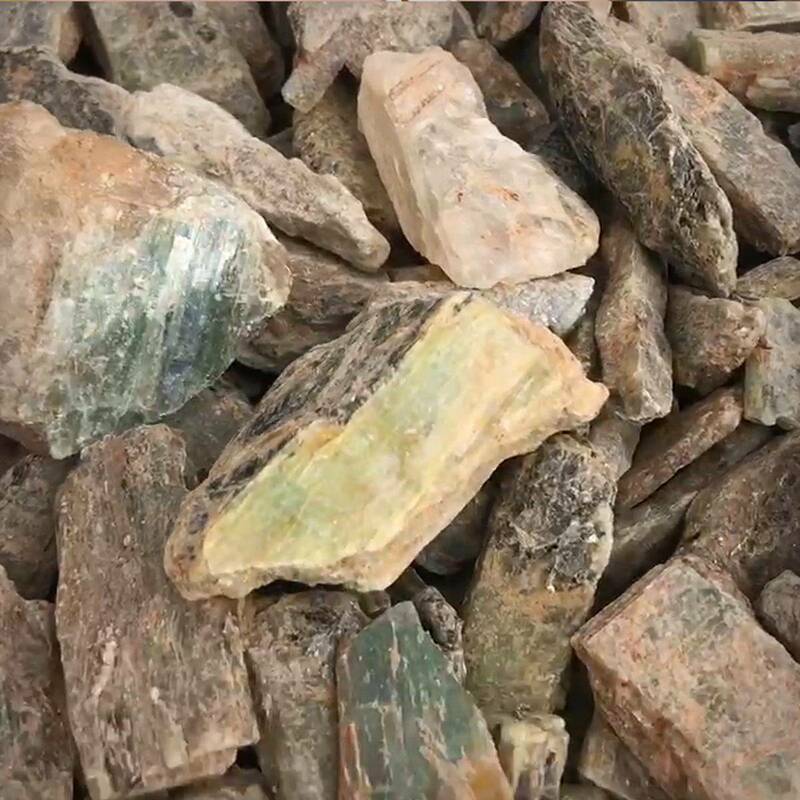 This stone will powerfully dispel of negative energies from your aura and space, and draw you inward to connect you with your deepest inner truth – the truth that lies within your heart space, the same truth that lies within the heart of nature. It will pull you to live from that center of truth, so that you may live a life of authenticity, love, and divine understanding. I recommend using these green kyanite blades in meditation. Holds yours in your hands as you close your eyes and breathe deeply. With every exhale, imagine the energies that do not serve you leaving your body; with every inhale, envision the healing energy of green kyanite infusing itself into your aura, fortifying your spirit and attuning you to the sacred frequency of Mother Earth. Envision your heart opening and activating, being filled with the most sacred truths that this Universe has to offer. After working with these green kyanite blades, you will feel serene and revitalized, assured and awakened to the grand wisdom of the world. Enjoy – another treasure from Tucson! This listing is for one (1) green kyanite blade, about 2-3” in size. Yours will arrive lovingly parceled along with a single leaf of white sage and a card describing the properties of the stone.